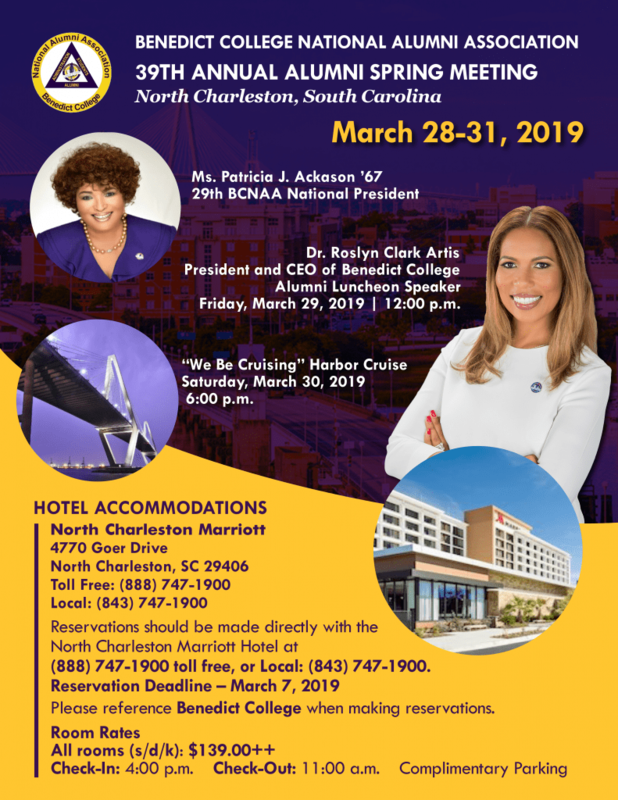 The 39th Annual Alumni Spring Meeting will be held March 28-31, 2019 in North Charleston, South Carolina. Dr. Roslyn Clark Artis will join in as the Guest Speaker for the Alumni Luncheon on Friday, March 29 at 12:00 p.m.
Don’t miss out on the “We Be Cruising” Harbor Cruise on Saturday, March 30, 2019! Reserve your room at the North Charleston Marriott today!